Guinevere reigned in Camelot and inspired the top name of the 1970s, too. 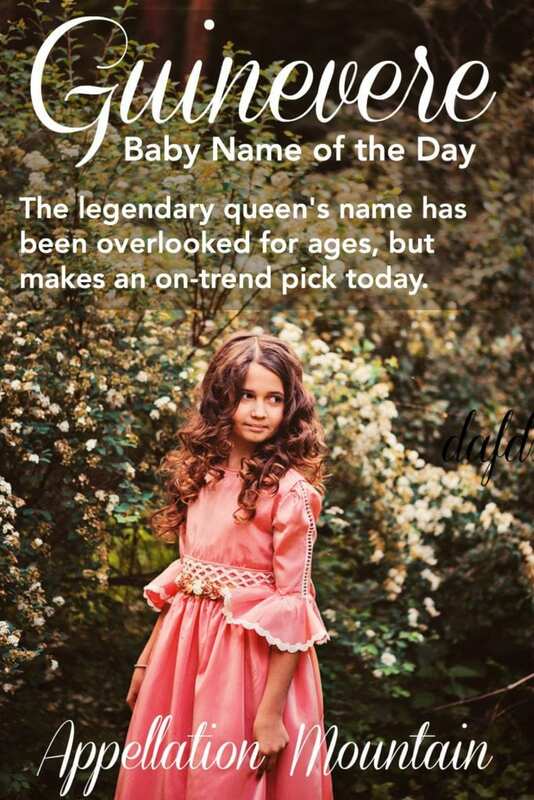 But that hasn’t translated to mainstream use as a baby name – yet. Will a new movie make the difference? 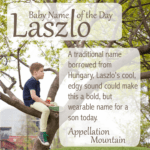 Thanks to Angel, Charlotte, and Mary Renee for suggesting our Baby Name of the Day. You know someone named Jennifer. I just know that you do – your sister, an aunt, a neighbor, a colleague, a friend. After all, the name dominated the top spot for more than a decade, and first entered the Top 100 back in 1956. Guinevere is as rare as Jennifer is common. The name has never ranked in the US Top 1000, and just 176 girls received the name in 2015. Of course, the name has more than tripled in use since 2010, so remember that rare is relative. What connects Jennifer and Guinevere? The original name comes from Welsh. The first element means fair; the second, either phantom or wave. It started out something like Gwenhwyfar. Geoffrey of Monmouth Latinized it as Guanhumara. The Italians remade it as Ginevra, while the Cornish transformed it to Jennifer. Jennie and Jenny predate Jennifer as a short form of Jane; today, though, they’re simply part of a former number one name. Because few women have answered to the name, we recognize the most famous Guinevere immediately. She reigned alongside King Arthur in Camelot. The happy ever after ended abruptly when the queen fell for the handsome knight Lancelot, and the betrayal brings down Arthur’s rule. Versions of the story vary, from the rich and varied medieval tales to the Broadway version most of us know today. Descriptions of the queen vary, too, from a heartless schemer to a hopeless romantic. Maybe the character’s ambiguous nature gave parents pause. After all, the story has been told and re-told countless times. Julie Andrews played the ill-fated queen on Broadway in the 1960s: Vanessa Redgrave donned the crown for the 1967 film version. Neither actress was the first to take on the role, either – it’s been adapted on stage for over a century. 1999 indie flick Guinevere won accolades, though it was a nickname for the main character. Mid-90s cartoon Princess Gwenevere and the Jewel Riders called their main character Starla. Canadian television gave us a Buffy the Vampire Slayer-esque character in the early 2000s, named Guinevere Jones. Sara Domet penne a 2016 novel titled The Guineveres, about four girls who share the name, nicknamed Gwen, Ginny, Vere, and Win. Two factors explain the recent rise in use – and could signal more to come. First, the fifth season of ABC’s successful fairytale series Once Upon a Time took us to Camelot. That comes a little too late to boost the name, though. And while a 2017 movie stars Charlie Hunnam as King Arthur, we’ll have to wait and see if it proves a hit. The second factor fueling Guinevere’s rise depends on pure sound. Evelyn has soared. Genevieve, Evangeline, Vivian, and Vivienne all continue to climb. If you love dramatic, literary, vaguely medieval, and distinctive names, this one belongs on your list. As nickname-rich as Elizabeth, as familiar as Charlotte, file Guinevere with familiar names that no one is using – for now. Do you think this name will continue to rise? 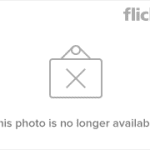 This post was published on June 13, 2011. Following substantial revision, it was re-posted on March 8, 2017. In March of 1924 my grandma was born & give the name Gweneviere. Years later when my mother was expecting me she knew that she wanted to use my grandma’s name, so she named me Kirstie Gweneviere after my grandmother. Since I had such a unique first name as well that no one could pronounce correctly, from 4th grade until my sophomore year in high school I went by Gwen which made me feel even close to my grandma. Both my grandma & I bonded closely because of this along with million’s of other reasons & we both loved the Arthurian Legend. Although she passed June of this year (2018) & she will never met any of my future children I hope to have, I know that no matter what my future daughter’s name will also be Gweneviere in memory of her. Out of all my research I’ve still yet to find anyone else with this exact spelling making her the first & me the second. Similar to my grandpa (Jeraild) although he was the seconded being named after he’s father whom both he (Jeraild) & he’s twin brother (Heraild) were the only people ever named with they’re names. I love this name! 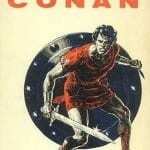 I’m a Arthurian legend fan, and the story doesn’t bother me at all. Actually, my name-nerd boss has assigned alternative names to all of my colleagues, and she gave me Guinevere! I was quite pleased. My main hangup is actually the spelling! The original Welsh Gwenhwyfar feels a bit much to give an American child, but I really love the nickname Gwen and the Welsh “we” over the Guin spelling. And while there are variants like Gwenevere that are legitimate, they just look misspelled to me. I suppose one could have the French Guinevere with the Celtic Gwen nickname, but the mismatch feels off to me as well. We’ve actually considered using Branwen for the wen/gwen root and giving her the nickname Gwen. But Guinevere is such a wonderful name! My Gwen is a Gwendolyn, because Guinevere felt too pretentitious for me. I studied in England for a semester, and I tried to imagine introducing myself as Guinevereover there (my version of the Starbucks test, I guess.) it never felt right, so we compromised. Since then, I’ve met Eowyns and Arwens, and now commenters named Guinevere, so I guess it does work. I’m happy with my Gwendolyn though. I was just thinking about this name again today! I adore the nickname Gwen and am warming up to Vere, too. I think it’s the romantic/clunky aspect of Guinevere that draws me to the name. Wonderful post! It’s good hearing from the actual Guinevere’s in the comment section also. I know of a LOT of Jennifers who have undergone name changes… one of them chose Gwenivere. It suited her. Love love love this name! Thanks for revisiting it, it’s been on my mind quite a bit recently. So many great nicknames! I love Gwen best but our kids have a great-grandma Ginny who is a cool cat and would definitely appreciate such an awesome honour name. My name is Guenevere I was born in 1968 and growing up I never had met another guenevere now it seems there are several 🙂 my family calls me Genny, most friends call me Guen or Guennie 🙂 at 43 I have learned to love it. My name is Gwenevere (my parents were educators so I go the phonetic spelling). For much of my life people called me Gwen, until on my 30th birthday I reclaimed Gwenevere. People still ask me what it is for short and I say Gwenevere. I am also a teacher and many of the the children call my Gwenny. And as above many friends simply call me G. I like them all, except for Gwen. My name is Guinevere, my father was Welsh so I was going to be Gareth or Guinevere. growing up I was nick named Guin and Guinie, however once my mother stopped being around to correct people it became Gwen and Gwennie which I don’t like so now every one calls me G. I never thought of Eve or Vera. I’ve tried saying this name over and over again, and I only seem to be able to say it in a breathy, theatrical, faux-British voice as if I’m announcing someone on stage. I’ve noticed this with other equally lovely names such as Aurora, Anastasia, Rosamund and Isolde – I just don’t seem to be able to say them naturally as I don’t connect them with real people. I’m sure if I’d grown up with girls with these names, or even seen on TV regularly, all would be fine! I spent a LOT of years in the Society for Creative Anachronism so I’ve known more than a few adults and children with all of the above names. And I used to babysit a sweet little Yseult. OH MY GOD!!! I loooovvvvveeeee Guinevere! This name is near the top of my girls list. I absolutely adore it! I never thought of Vera as a nickname (or even Neve), but I do like them. I really like Gwyn as a nickname the best. I love Arthurian legend, and I hope that these names someday get the credit that they deserve. Guinevere is beautiful. I have a second cousin (on my Welsh side) called Guinevere “Guin”. Funnily enough, we both have a great uncle Merlin “Mel” from that same side, too. It amuses me that most people see Arthurian legend as being “English mythology” when actually they are Welsh. 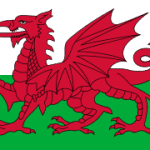 Pretty much all the names can be traced back to Wales (or even further to proto-Celtic). It’s quite fun reading the Mabinogian and finding half the characters “bumping in to” Arthurian characters. Culhwch from “Culhwch and Olwen” is meant to be Arthur’s cousin. I have TWO sisters named Jennifer! My half sister goes by Jen or Jennifer and my foster sister is Jenny. I really like some of the variants of Guinevere. Gwenore has potential, and I’ve always love the French Genevieve. I’ve thought about using one of those as a middle to honor both sisters. I probably wouldn’t use this name because it’s my name, but I do have Guinevere and Gwenhwyfar on my list! You’re absolutely right – Jennifer succeeded for good reason, as do most – probably all – popular names. If Alaric had been a girl he would have been Guinevere. Mark doesn’t like many girls’ names, but Guinevere is one that he does favour and it would be a neat way to honour my mother, Vera. Also, it fits in with our trend of uncommon three-syllable names with common elements. Although I love the name’s sound, I resisted it for a very long time due to its history. However, two weeks prior to the birth of my second child I walked up to Mark late at night and told him that I’d changed my mind about our current girl’s name: it was too short, had no natural nickname options, and was too readily teasable. Disgusted that I’d changed my mind so late in the day, Mark said I had 24 hours to come up with a new girls’ name! So I decided that I didn’t care if Guinevere was an adulterous queen and we headed to the hospital with both Guinevere and Alaric in our pocket. Of course, we didn’t end up using Guinevere (pronounced GWEN-uh-veer), but who knows? We might get to in the future! I forgot to add that a woman on my April 2011 birthboard named her daughter the daringly difficult to pronounce Gwenhwyfar! Guinevere is lovely sounding and I love its ancient, regal feel, but I think its obscurity combined with the unfortunate myth renders it mostly unusable. That could change if I met a little Guinevere, though. Vera’s a very cute nickname, and I also like Neve (too much of a stretch, though? It is right there in the name). Guinevere is a name that’s grown on me. She sounds so pretty! I love both Gwen & Vera as possible nicknames, sweet! I adore names with multiple nicknames, especially ones that have non-intuitive types of nicknames (Vera from Guinevere, Polly from Penelope…). I know a little girl named Guinivere and she goes by Guinnie, which is adorable. Donovan did a song called “Guinevere” and so did Crosby, Stills, Nash & Young…which gives it kind of a hippie sort of vibe as well. Death Cab for Cutie has a song called “We Laugh Indoors” with a chorus that’s simply the lines “I loved you Guinevere” over and over again. I was just deciding to go listen to that in my iTunes when I read this! Yay Death Cab! Plus it would be a GREAT way to honor that special sister/cousin/best friend named Jennifer without making it too blatant. My younger sister and my aunt share a name and when the two of them are in the same room it gets very confusing as to which Barb is which (yea not only do they share a freaking name, they also use the same NICKNAME for it). About every other generation in my direct family there is an Elizabeth (great grandmother, skipped my grandma, my mom’s first name, my middle name) and I broke the trend with my daughter who is a Stephanie Elizabeth so that she’d have her own name since she currently lives with my mom (and therefore spends a lot of time with! Her dad abandoned us when she was a baby and I’ve never managed to find a job that paid enough to support the two of us. We do what we do so that our children can have stable lives, sometimes) . But I digress, I adore the name Guinevere and for the truly daring, Gwenhwyfar. Such a pretty name with so many nice nicknames (including plain old Jenny). It would be a bit too dramatic for me, although I must admit, it sounds nice with our surname when so many names tend to clash. Do people tend to say it GWIN-uh-vir, or GWEN-uh-veer, or some other way, I wonder? GWEN-uh-veer is how I’ve always heard it pronounced and I spent a lot of years doing medieval and re-enactment 🙂 . Gwenifer is a Cornish variant I’ve heard of as well. Thanks – I was wondering how people were getting Gwen as a nickname, when to me the name starts with GWIN.